Military housing just doesn’t get any better than this! If you’ve been looking for the perfect place to live in San Diego during your military stay, try Foxwood Corporate Apartments; we have the best location for the greatest value! 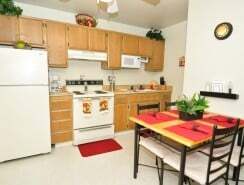 Our beautifully furnished off base military apartments are great for a temporary assignment or military training in San Diego, with a convenient location near the major freeways and San Diego’s bus and trolley system next door, you’ll never have to worry about being late to your military base. The 32nd Street Naval base and Coronado Island are just minutes away from your temporary apartment here at Foxwood. Not only will you enjoy the wonderful location, our apartments are luxurious, spacious, and equipped with great views of San Diego. Our fully furnished apartments have been designer-decorated with upscale furniture, new appliances, and many amenities to ensure you fully enjoy your stay here in America’s Finest City. The full-size kitchen comes with all the kitchenware, cookware, dishware, and appliances that you will need to cook homemade meals comfortably. More housing essentials that are available during your military stay with Foxwood are the cable-ready TV and DVD player, quality bed linens, matching bedroom sets, fluffy bath towels, and weekly maid service. But we saved the best for last! 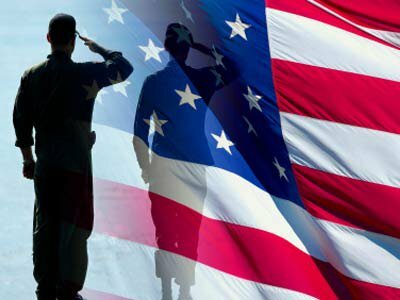 The best part about staying at Foxwood Corporate Apartments is the special military discount rate that we give to our serving military servicemen as a sincere thank you for serving our country. Other money-saving perks included are that utilities are paid and no deposit or lease agreement is necessary. I think it’s safe to say that your military home will save you money while you’re staying in San Diego! At Foxwood Corporate Apartments, we want to make sure you love your military stay in San Diego. Contact us if you have any questions regarding amenities, special military rates, or our fast and easy application process. Choose Foxwood Corporate Apartments as your home away from home when you need a military home in America’s Finest City. Military housing in San Diego is easy to find; but it’s difficult to get exactly what you want out of off base military accommodations here in San Diego. If you want to feel like you’re on vacation during your military duties in San Diego, there’s no place to compare with the tranquil escape of the resort-style military apartments at Foxwood Apartments. Providing you with premium, off base military housing is something we take pride in and we hope you’ll enjoy these 3 great benefits to choosing Foxwood Apartments as your military home in San Diego. You’ll feel as if you’ve been whisked away to a resort-style vacation rental as opposed to military housing when you stay at Foxwood. Our military apartments are situated on 5 acres of luscious greenbelt garden park that’s blooming with elaborate gardens, manicured landscaping, and large shade trees. The peaceful ambiance makes your stay feel like a retreat, and the year-round heated pool and spa located in the center of our accommodations will ensure you relax and feel comfortable even when you’re far away from home. If you’re concerned about getting to base on time, you’ll love the convenient location of Foxwood Military Apartments! We’re just minutes away from the 32nd Street Naval Base and Coronado Island, so you can rest assured you’ll always have enough time to get to work. Also, the I-805 and I-5 freeways are a few blocks away from Foxwood Apartments. Simply hop on the freeway and you’ll be in downtown San Diego in 10 minutes. For excellent commutes for work and play, you’ll love the easily accessible location of Foxwood Apartments. Did we mention that our fully furnished one- and two-bedroom military apartments are available for a special discounted rate? To show our appreciation for our military men and women, we like to offer a military discount, visit our Military Packages online to see your special rate today! For any questions about our accommodations or special military packages, please contact us! We would be happy to help you plan your military stay here in America’s Finest City. When duty calls, it’s difficult to have a say in where you stay. If you’re moving to the big military hub of San Diego, it’s time to start looking for your military housing in America’s Finest City. At Foxwood Corporate Apartments, we have gorgeous one- and two-bedroom furnished military apartments that are ideal for temporary assignments in San Diego or a more permanent stay in the future. 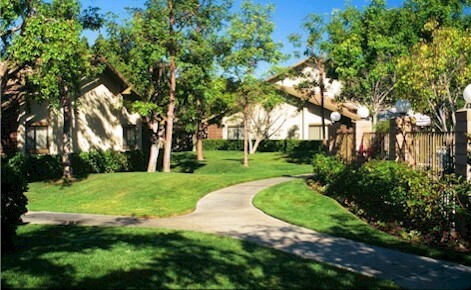 Consider Foxwood Apartments as your perfect home away from home in San Diego! As soon as you arrive at our military apartments, you’ll fall in love with the 5 acres of greenbelt garden park surrounding Foxwood Apartments. From the large shade trees to the immaculate gardens, it feels like paradise when you’re surrounded by all the lush greenery, peace, and serenity of Foxwood. 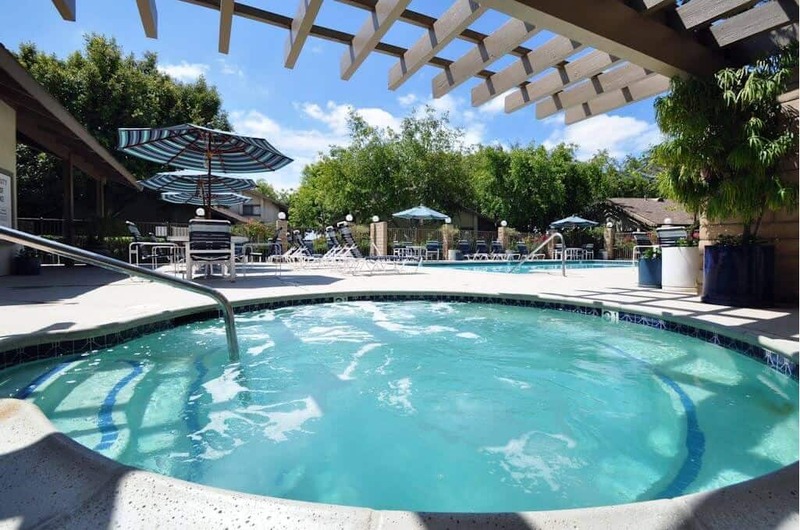 Your off base military apartment will also be conveniently located just steps away from the heated pool and spa; it’s accessible any day of the week! Alongside our relaxing features available at Foxwood Corporate Apartments, we also have very useful facilities such as a laundry room, onsite parking, copy and fax services, as well as weekly maid service. No matter what you need, we are always here to help our San Diego military community. For more details regarding our amenities, please visit the special amenities section on our website to see what will be included in your apartment living space. Make San Diego feel like home even if you have military duty. Our off base military apartments complete with beautiful dÃ©cor and a gorgeous ambiance will make you feel as if you’re staying at a luxurious resort! Contact us today for more information regarding our rooms, amenities, and special military discount! We cannot wait to house you and your family for a temporary military stay. Choose Foxwood Apartments as your home in San Diego! If you’re stationed in San Diego during the summer, staying with Foxwood Corporate Apartments will surely make your military stay memorable. The resort style ambiance makes you feel as if you’re coming home to paradise; what a great way to live in America’s Finest City. Our military apartments are close to the Naval bases and provide a great escape from work. Our one- and two-bedroom military apartments are fully furnished with great furniture and wall art that warms up the entire place. 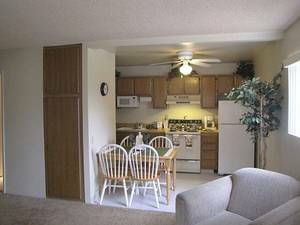 Each apartment is loaded with amenities like kitchenware, dishware, towels, linens, electronics, and more! Aside from all these apartment perks, you’ll love the onsite parking and access to the heated pool and spa just steps away from your front door. If you’re worried about your daily commute to the Naval bases, Foxwood Corporate Apartments has a convenient location near the I-805 and I-5 freeways. You will be at the 32nd Street Naval Base and Coronado Island in minutes. There is also public transportation located on Delcardo Avenue across the street from Foxwood. You can hop on and be at the Naval Bases in just 10-15 minutes. We are also located close to Downtown San Diego, Old Town, Mission Valley and Sea World so take the time to explore these other great San Diego neighborhoods during your stay. Enjoy your military assignment in San Diego with an off base military apartment here at Foxwood â€“we also have a special military discount on all apartments. Contact us today for more details about your future military accommodations in San Diego.